Majority of the information is applicable to Zombie Co-op in general. Though was originally posted with a focus on Outfoxed I. Upon completing a floor you will be greeted by the [Upgrade Shop] menus. Press after a round. Once everyone is ready you will auto proceed or when the timer counts to 0. Delete + Enter : This is the command to kill your character. Pressing Delete will prompt you if you want to and Enter will confirm it. Very useful when time is short. - Experience : Is dependent on your performance and how many rounds you participated in. Only the highest rolled numbers get to take home a prize if there are 3 boxes the top 3 are chosen and so on. Buffs like ammo drops are given to the first person who walks over them. Hp Recovery : Fully restores the health of the person who picks it up. Single person effect. Team Hp Recovery : Restore 50% of each team members health. Team Mp Recovery : Restore 50% of each team members mana. Stun All : Upon pick up will stun all enemies currently spawned everywhere. Effect last 10 seconds. Zombies that spawn after Stun All are not effected. Attack Up : Increases the attack of the person who acquires it by 50%. Single person effect. Defense Up : Increase the defense of the person who acquires it by 50%. Single person effect. Speed Up : Increase the speed of the person who acquires it by 20%. Single person effect. Infinite Ammo : Grants the person who acquires it unlimited ammunition. Single person effect. The mystery box could be anything. Of the buffs listed above this box will become one of them. Just one. *Randomly the Random Box can give you one of to my knowledge 3 debuffs. Sorry, I don't have information on all three. Defense Reduce : Decrease the defense of the person who acquires it by 40%. *Speed Reduce : Decrease the speed of the person who acquires it by ? These are the things I know can be acquired from enemy drops. *Other items I'm unsure of such as anti-person mines, anti-tank mines and so-on. A color will cover your character portrait based on how much SSP you've accumulate. I mention this because SSP Gain seems to increase based on your current amount. Purchasing 'SSP Gain' with any given level will immediately jump you to the next. If you have a Lv1. 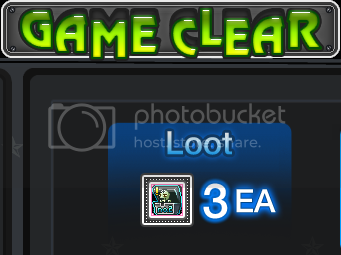 SSP full and buy 'SSP Gain' you will go to Lv2. repeat to Lv3. However to fully charge Lv1. with absolutely 0 gauge via 'SSP Gain' will take 3 purchases at least. Or you know zombies. 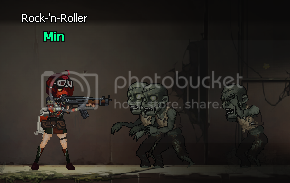 Zombies seem to have a cooldown time on when they can attack try to keep that in mind. Shambling fodder zombie. You will encounter them the most of any type. From the beginning onward get used to them. They can run and thats pretty much all they have going for them. They will often be leading the pack with their speed. These guys appear / spawn in groups and thats where a lot of the damage comes from. Decent hp and ranged attacks. When using rockets doesn't seem much tougher then a Sticky zombie. Only when using rockets, also deceptively fast. Edited by MamaMin, 08 March 2016 - 07:15 PM. This part is for the Outfoxed co-op map specifically. Majority of the information was acquired from Easy mode. Though most should remain accurate for both. *The difference between Easy and Hard from what I could tell is that hard mode scales more intensely as you proceed zombies will get stronger. You will have to shoot your way through hordes of various zombies and climb all 10 floors within the time limit. If all members of your team are killed/dead at the same time (Doesn't matter how soon you would have re spawned). Each floor has a safe area where you will re spawn if you die (Death timer increases by 10 seconds per death) players joining the match will spawn in the next floors safe area once the previous floor is completed and you / your team is ready to proceed. - In a team of players there isn't much strategy I can recommend outside of most people be competent. - I will say that weapon diversity is a good thing to have. Despite everyone being eager to pull a rocket out. - When tackling the map with very few people I can only suggest knowing the floors. Pretty much all the time doors will lock behind you spawning in loads of enemies. Having someone stay back and hold the door might be life saving. - The top floor of the building (Floor 10) has a gauntlet as soon as the room begins large numbers of every zombie (except reds... for now) will begin flooding towards you they CAN over take the safe room if your not sufficient in your extermination. The tip is to Run! - Top floor of the building which mean SSP time. However don't be hasty with it. First of all were talking about the missile strike and 2nd timing and placement are essential. Directly above the spawn room on the 10th floor is home to a whole lot of zombies including Red Zombies. Once they have been spawned and once spawned no better time to use a Carpet bombing. - Once you have gotten past the room where the Red Zombies spawn by past I mean the next door opens. The tip is to Run! again. Just like when you exited the safe room door at the end of the top floor are two barriers to block your path, past them is the ramp leading to the roof. It is entirely possible for you to make a mad dash blast through the barriers and up the ramp. Edited by MamaMin, 06 March 2016 - 03:33 PM. That's a good guide but many of this info is true to all PvE. I suggest to strip a bit of info into another thread and make this Outfoxed specific and link your general PvE info into this one. No doubt twas easier to change this thread into a general Co-op and just post my small Outfoxed section under. Thanks. Though if it overlaps with your guide to much I'll probably wipe and just defer to yours. Return this to just an Outfoxed only post. Edited by MamaMin, 06 March 2016 - 05:53 PM. Edited by 9453130704211936223, 06 March 2016 - 09:48 PM. Hey man, do I have your permission to post this guide on Steam? A lot of new players are coming from Steam, and there are absolutely no guides available for them. I will give full credit and take no credit for the guide, and will post the original link as well. I don't know if this is to difficult but could you also put pictures of the items that drop such as Putting [Outfoxed II] Box drops - a list of the items name a picture and the item piece stats if you have to time it would be appreciated. Go ahead, hope it helps. I do have an idea of how I could possibly do something like that, but I get the feeling that it would take the entirety of my Metal Assault life to do. Well thats if I read your comment correctly.